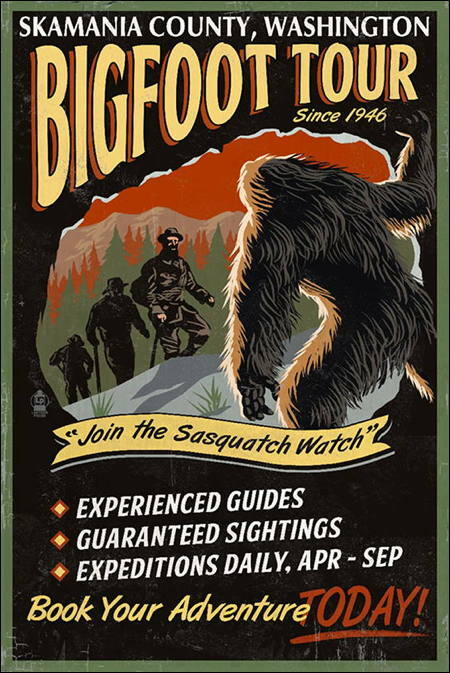 In 1969, folks in Skamania County, Washington passed an ordinance making the entire county a Sasquatch Refuge. It declared Sasquatch an endangered species. The ordinance was amended in 1984 to include other names for Sasquatch: Bigfoot, Yeti, and Giant Hairy Ape. A gross misdemeanor slaying (with malice aforethought) is punishable by one year in the county jail and a $1000 fine, or both. A regular kind of slaying (without malice aforethought) will get you six months in jail, and a $500 fine, or both. It appears that the Skamania County Board of Commissioners went soft on Bigfoot crime with the amended ordinance. The original version would have had you locked up in the slammer for five years! The ordinance goes on to say: "In the prosecution and trial of any accused Sasquatch killer the fact that the actor is suffering from insane delusions, diminished capacity, or that the act was the product of a diseased mind, shall not be a defense." Wow! And check out this clause: "Should the Skamania County Coroner determine any victim/creature to have been humanoid the Prosecuting Attorney shall pursue the case under existing laws pertaining to homicide." It might be worth noting that both the 1969 ordinance and its 1984 amended version were introduced on April 1 of their respective years. That said, the ordinance was signed into law, amended and signed again, and is still on the books. On my home turf we can't brag about a refuge, but we do have a Bigfoot Trap. I kid you not! Built by the Eugene-based North American Wildlife Research Team in 1974, the group was attracted to the area after a miner named Perry Lovell found 18-inch human-like tracks in his garden near the Applegate River. The creature reportedly had a 6-foot stride. A rotting deer carcass was hung up in the back of the trap. 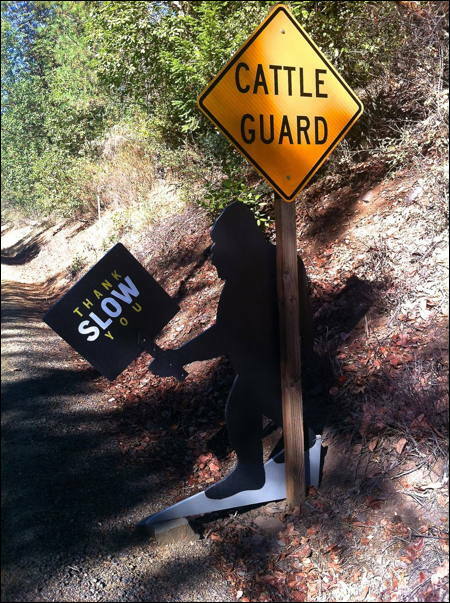 When Bigfoot grabbed it, the trap door would fall and send an electronic signal to the watchman's cabin down the hill. After six years of "no luck" the trap door was bolted open to prevent folks with less smarts than Bigfoot from getting trapped inside. 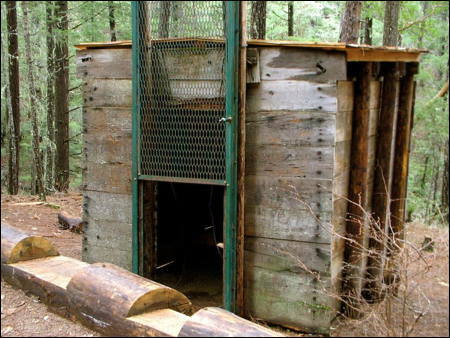 Considered an historic landmark, the trap was restored by the U.S. Forest Service in 2006. 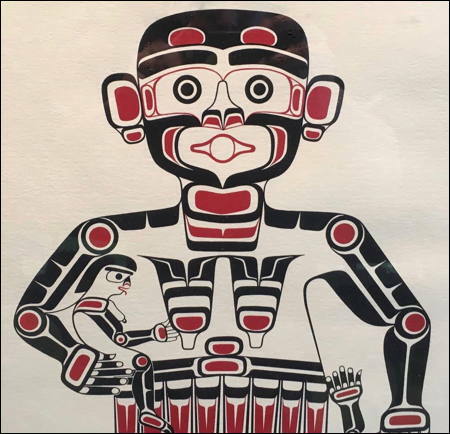 Once I told stories at a Bigfoot festival in Happy Camp where I wowed and terrified my audience with a Northwest coast story about one of Bigfoot's relations: Dash Kayah the Cannibal Woman. She was an obese, dark, smelly, ape-like, whistling creature who punished disobedient children by "sucking their brains out of their ears!" I'll leave it to you to imagine the gesture and accompanying sound effect that enhanced the telling! Fortunately, a group of clever children got rid of Dash Kayah by pushing her into her own fire. The sparks from her burning turned into mosquitoes, thus reducing this fear-of-darkness, fear-of-depths monster into a tiny annoyance that can be handled with a well-aimed slap. I should point out, however, that she still has four sisters wandering around in the deep, dark coastal forests. A boy once asked me if I was sure that Dash Kayah was no longer out there. "She's gone," I said. "Those children pushed her into the fire." "But what about her sisters?" "Well," I said. "Here's what the elders told me, and I pass this along to anyone who might make use of it. If you ever have a scary dream about the sisters, all you have to do is tell the story four more times to get rid of them. Simple as that." Oh, those Old Ones were clever. The story not only makes its unforgettable point about the expected behavior of children, it shows children working together to overcome a huge threat, and gives them a precious tool to keep themselves safe. Just keep telling the stories! 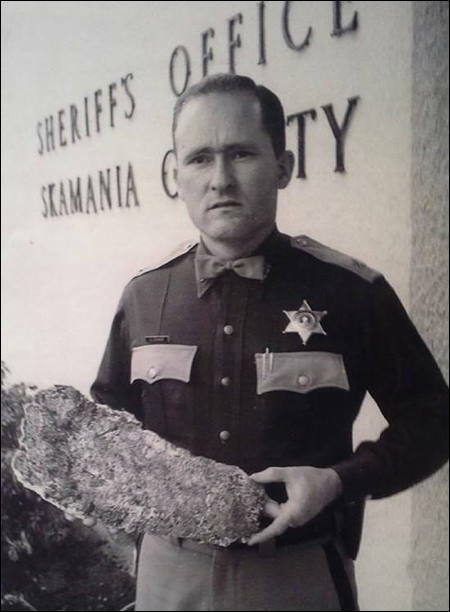 The images show Skamania County Sheriff Bill Closer with a 15.5 inch cast he made of a footprint in 1969, a poster promoting Skamania County as Bigfoot Country, a shot of the Bigfoot Trap, a road sign along a southern Oregon mountain road, and a likeness of one of Dash Kayah's sisters (note the brain-sucking shape of her mouth).